Available in black net (5060) with 14% light transmittance. VELUX awning blinds can reduce the heat intake in a room by up to 72%. Remote controlled and electrically powered awning blinds are operated with the intelligent touch-screen VELUX INTEGRA® control pad originally supplied with your VELUX INTEGRA® roof window. An intuitive solution that lets you easily control your blinds remotely. The VELUX INTEGRA® control pad offers an array of pre-set programs for everyday comfort and an improved indoor climate. You can control the blind from anywhere in your room and enjoy all the features of the pre-set programs such as the possibility to program the blinds to raise and lower at specific hours. Remote controlled and solar powered awning blinds are operated with the remote control supplied with the blind. If you have a solar powered INTEGRA® roof window, you can also use the intelligent touch-screen VELUX INTEGRA® control pad originally supplied with your VELUX INTEGRA® roof window. VELUX awning blinds are made of a weather resistant, 100% polyester net fabric for long lasting performance. We spend a lot of our time indoors. So making our homes as comfortable as possible is a top priority. 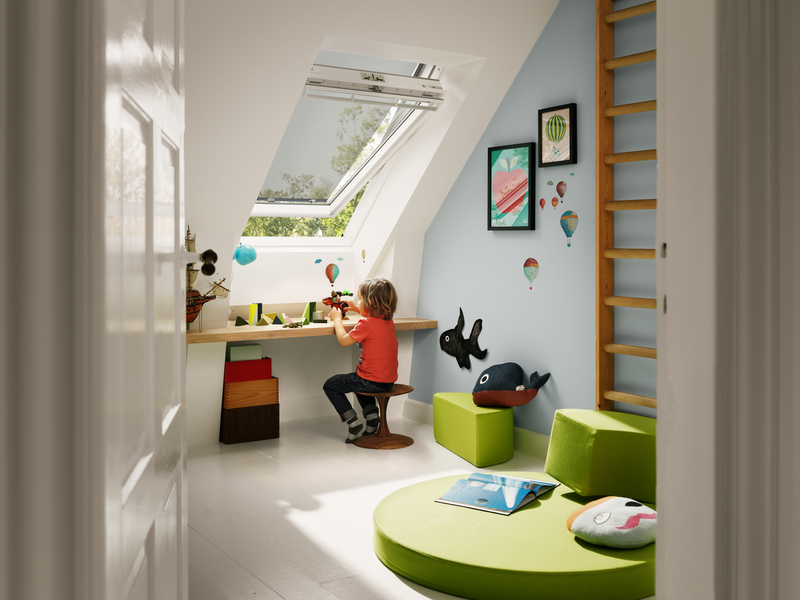 Combing VELUX products helps you get the most out of your roof windows and ensure the best possible indoor climate. Finding the right balance of warmth, light and (insect free!) fresh air often requires multiple sunscreening products. 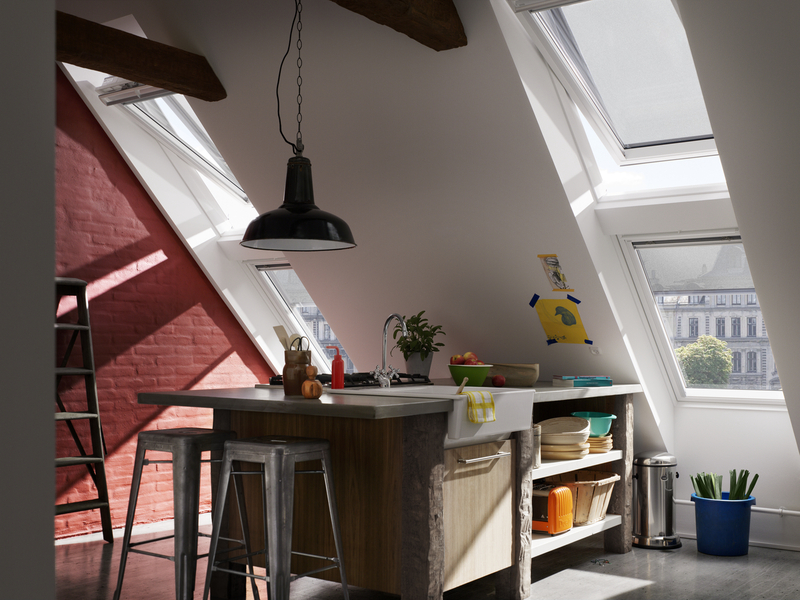 With VELUX product combinations there’s an optimal solution for every room. For year-round convenience and comfort, the combination of a VELUX Energy blind and a VELUX Awning blind is ideal. You get the effective heat protection of our Awning blind along with the flexible light control, blackout effect and improved insulation of our Energy blind. If you need total blackout and heat protection, combining a VELUX Blackout blind with our Awning blind is a smart move. You get complete darkness anytime and you can keep your room cool on a sunny afternoon while still enjoying the daylight and fresh air.